Those balmy summer days seem so long ago now don’t they? The fluffy slipper boots that have been lurking under the bed for the past few months have been dragged out and slapped on. The wardobe of floaty summer dresses has been replaced by snuggly jumpers and winter boots. 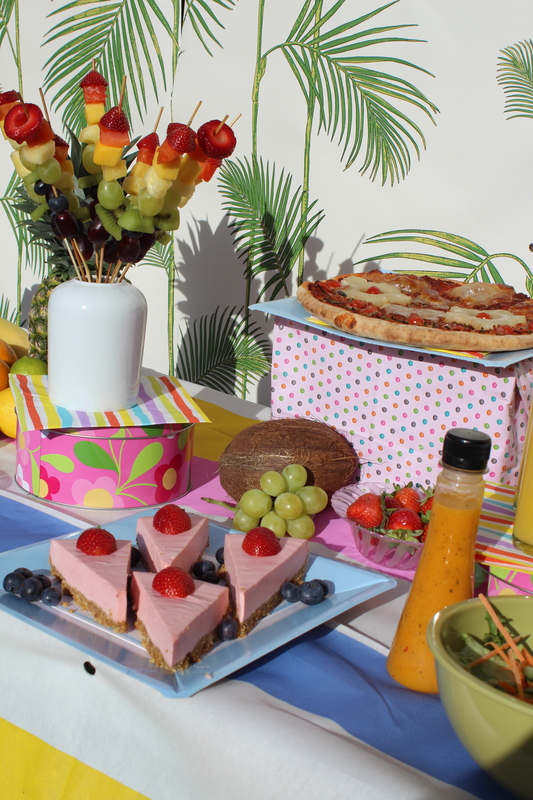 The mornings fresh with the promise of a glorious day, have made way for mornings of grey murk and the hope for a glimpse of sunshine, so we thought we’d share a few photos of our Last Days of Summer party to inspire a warm glow as you contemplate switching the heating on. 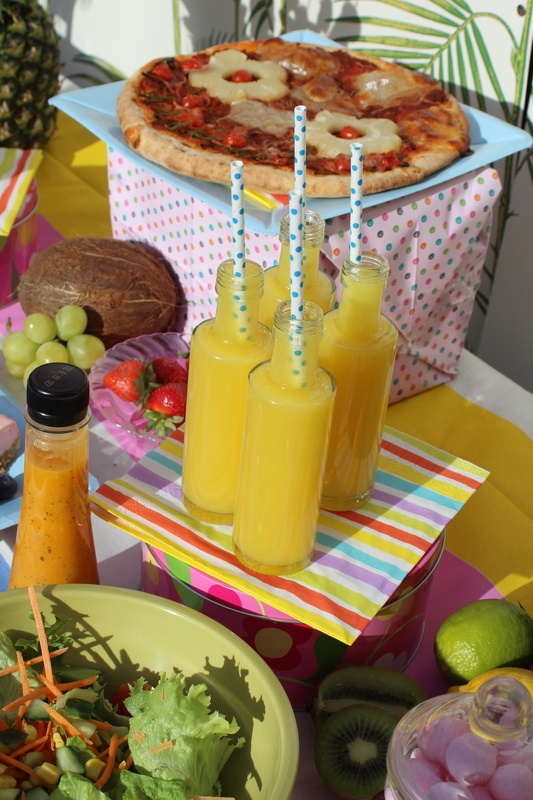 Nothing says ‘summer’ like a tropical themed party and we relished the chance to recreate our own little piece of paradise for our Last Days of Summer party. 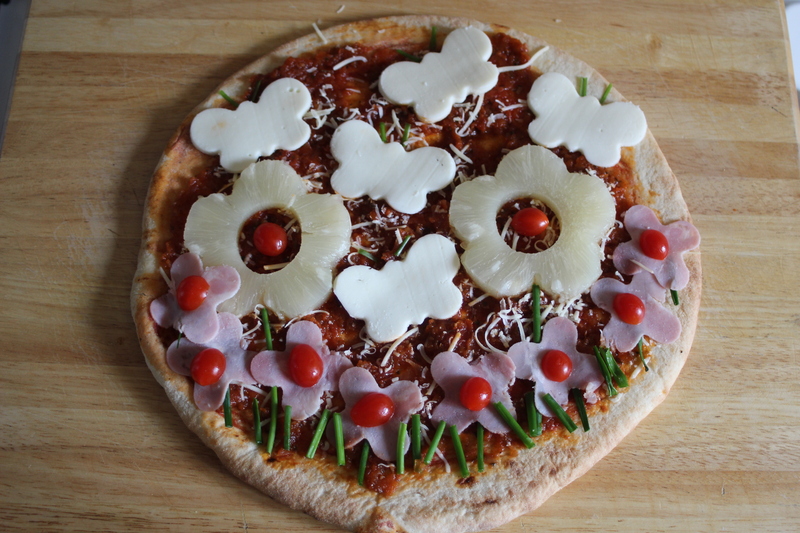 Our Hawaiian Pizza was decorated with pineapple, ham and tomberry flowers, mozzarella butterflies and chive grass – using cookie cutters and a bit of imagination. 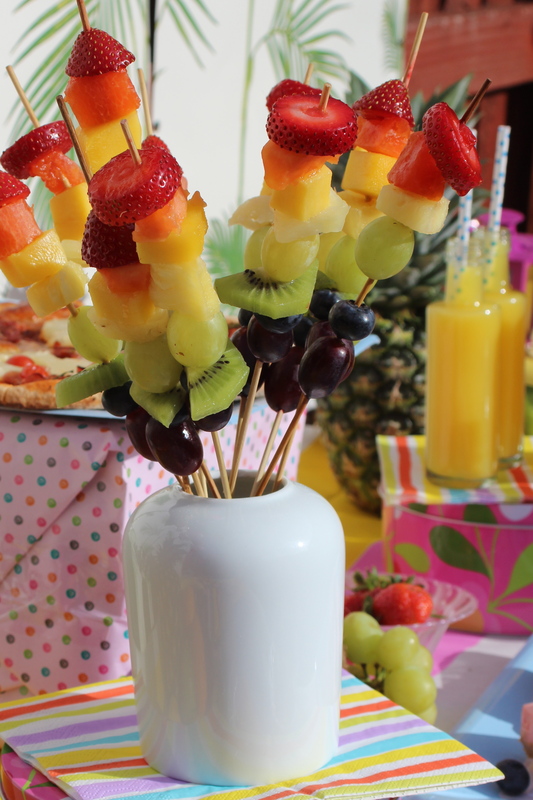 Mook made a strawberry cheesecake, and Mook and Lulu both made our amazing Rainbow Fruit Skewers – a very simple but stunning edible table decoration. Word of warning though, prepare much more fruit than you think you’ll need, in our experience not all the fruit will make it to the table! We also adapted our coconut banana bread recipe to a Chocolate and Coconut Banana Bread by replacing 100grams of the flour with cocoa powder – the cocoa was a delicious addition, but only cut yourself a small piece, it is rather rich. 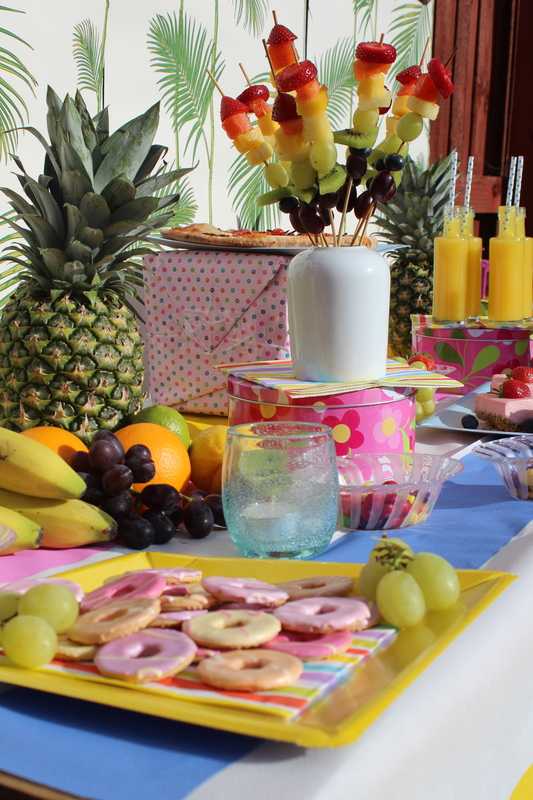 A tropical plant wallpaper from our local diy store made a great backdrop to our food table. Thank you – seems so long ago now!